Slim Right Detox ‘n Burn is a food supplement manufactured by Nature’s Way. The company produces a number of other health and wellness supplements and appears to conduct their business in a reputable way. Slim Right Detox ‘n Burn is produced in tablet form and is designed to provide a detox while also functioning as a fat burner. According to the marketing material, the tablets are perfect for anyone who needs a detox, wants to burn fat, or needs extra energy while exercising. Each tablet contains a number of B vitamins. This is not uncommon because B vitamins are known to be essential for a healthy metabolism and they help the body to extract energy from food. Chromium (6mcg): An ingredient that used to be added to diet supplements to provide fat burning benefits. Numerous scientific studies reveal it does not work. Chromium is also often believed to be useful for balancing insulin levels and lessening the likelihood of sugar cravings, but supportive evidence is lacking. Iodine (25mcg): Iodine is often added to diet supplements because it is believed to have a beneficial effect on the metabolism. This is only partially true. When the normal diet fails to provide enough iodine the health of the thyroid gland can be effected and this may result in a sluggish metabolism, that leads to weight gain, because the thyroid secretes hormones the metabolism needs to function at peak capacity. Most people attain a sufficient supply of iodine from their food though, so supplementation is seldom required. Milk Thistle Extract (22.9mg): An ingredient that is often added to detox formulations. There is a long-standing belief that milk thistle can purge the liver of toxins, but although some early research suggests it may be able to help people with alcohol-related liver disease, more recent studies fail to suggest a connection between milk thistle and liver health. Apium graveolens (250mg): Celery hiding behind a fancy-sounding name. For the purposes of one study, researchers in Egypt fed lab rats a high fat diet and gave them daily doses of celery, chicory, and barley. This combination seemed to be effective for preventing a build-up of dangerous fats within the liver. However, what works for rats may not work for humans and the Slim Right Detox ‘n Burn formulation does not contain chicory or barley. Paullinia cupana (450mg): Also called guarna, paullinia cupana is a a tropical fruit that is high in caffeine, but releases it slowly. Caffeine benefits include extra energy and improved focus. Caffeine is also a scientifically proven fat burner. Coffee arabica dry seed (equiv. to caffeine 27.4mg) (1.398g): Another caffeine provider. Usage Instructions – Two tablets should be taken with water, three times each day, 30 minutes before a meal or exercise. The maximum dose of six tablets per day must not be exceeded. If the manufacturer is aware of any side effects they fail to disclose it, but they point out each tablet provides 41mg of caffeine. This is not particularly high though, and a two-capsule dose would contain slightly less caffeine than a standard cup of coffee. Slim Right Detox ‘n Burn is unlikely to be suitable for pregnant or nursing mothers. People who have existing health issues should consult a doctor before taking any pills. The same advice is offered to people who are taking medication. A box of Slim Right Detox ‘n Burn contains 60 capsules. Although the manufacturer’s website appears to offer a shopping cart feature this is not the case, site visitors who select the “buy” now button are transferred to the relevant sales page at health365.com and can expect to pay $39.90 per box of pills. Slim Right Detox ‘n Burn can also be purchased from a number of other online stores, including Pharmacy Online, Pharmacy4Less, and Chemist Discount Centre. Prices can vary and generally range from $29.99 to $43.99, depending on supplier. 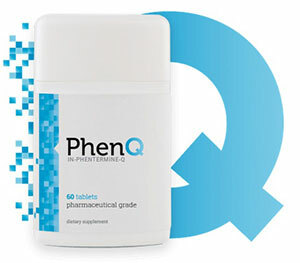 PhenQ is a multi benefit hybrid that can provide a detox benefit – it’s real forte though it as a triple action fat burner, fat blocker and appetite suppressant. PhenQ has many successes from all over the world – so confident are the people who make the product that that offer a 60 day money back guarantee should it not live up to your expectation. There is also no delivery charge anywhere in the world.